Boys Team title: At the end of Prelims, the boys team race is between two teams- the defending champion Churchill (26 swims in Finals) and former champion Georgetown Prep (18 swims in Finals). If the teams/swimmers keep their seeds from the prelims, there is a 10 point differential. Races to watch: The opening event for the boys will provide an exciting tone for the night as any one of the teams from Georgetown Prep, Richard Montgomery and Blair could take the win. Jacob Rosner and Ryan Vipavetz face off in the 200 free, Jacob has the top seed at 1:41.55, but Ryan has swum 1:40 a few weeks ago at the National Catholic meet. The 500 free have these two pitted against each other and should be a neck and neck race. Both have swum in the 4:20’s this season in Club meets and we would expect to see them in that range tonight. Alex Colson has the top seed in the 100 Butterfly, but the race for second will be tight, with 4 swimmers within 7 tenths of each other, and two of them also capable of going under the 50.00 barrier. Brett Feyerick has the top seed in the 100 freestyle, but will have his hands full with Steven Mendley, Gabriel Laracuente and Diego Cruzado as they have all swum in the 46’s this season. Girls Team title: The Girls from Holton Arms have done a fantastic job of getting their swimmers into the finals tonight, with 28 swims. Even if they just hold their places, their margin over the next closest team is too much to overcome. Stone Ridge (11 swims), BCC (15 swims), and Sherwood (16 swims) are within 25 points of each other in the battle for 2nd place. Races to watch: The meet may start off with the girls 200 Medley relay Metros record going down, the team from Holton Arms has been faster than their qualifying time of 1:45.75, but will need to swim inspired to drop below 1:43.51. The 200 freestyle will be another tight race where qualifiers 3-9 were within 7 tenths of each other. The top seed, Erika Chen is the defending champion and swam 2 seconds faster at the ISL meet 2 weeks ago. Phoebe Bacon is the top seed in the 200 IM with a 1:59.89 and has a shot of breaking the Metro record of 1:58.19. Given that Stone Ridge’s 200 Medley Relay Dq’d this morning, this will be her first swim of the night. Freshman Carly Sebring from Damascus is the top seed in both the 50 free and 100 butterfly. 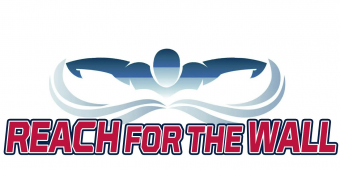 This will be a tough span of events for Carly as she faces last year’s 50 free champ Keyla Brown will look to retain her title and turn right around to face Washington Christian Academy’s Abby Carr, who swam a 54.27 100 butterfly in December. Abby will also have a tough second race tonight as she’s the top seed in the 100 backstroke, facing off against Jing-E-Tan from Holton Arms and Kate Cosgrove from Holy Cross. Also be on the lookout for a possible meet record from Walter Johnson or Holton Arms in 00 Free Relay. Their qualifying time of 1:37.13/1:37.33 are just outside the record of 1:35.39. With the hype and excitement, we could see one or both of these relays under the standard. The 1M diving event was competed for the boys on Wednesday (2/6) and the girls on Thursday (2/7). In the boys event, Michael Parker from Sherwood was looking to repeat as champion and was facing familiar competition from his teammate, Max Weinrich. Max and Michael were at the top of the MCPS rankings all season, and Wednesday’s competition was no different. Throughout the preliminary rounds the two were outscoring the field and at the end of round 11, Max was in the top position with Michael second. A 1-2 finish for Sherwood! The girls diving competition was up for grabs as last year’s champion and All American, Maddie Pfaff from B-CC graduated. Genevieve Thibodeau from Stone Ridge seized the opportunity, looking to improve her 5th place finish last year. Genevieve took the lead from the 5th round of dives forward. At the end of round 11, Genevieve had amassed 429 points, outscoring second place Dorothy Shapiro from National Cathedral by 8.25 points. The Churchill boys are off to a good start in defending their Metro title and the Sherwood girls have spotted points to the field, but there is a lot of swimming ahead. 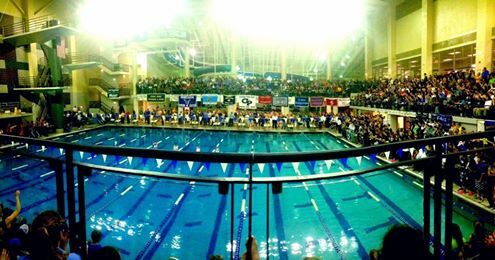 Today (2/8), teams will convene at the Germantown Indoor Swim Center to compete in the prelims of the 500 Freestyle and the 400 Freestyle Relay. While no points are doled out after today’s swims, the positioning is important as they will vie to make the the top 10 and compete in the final heat Saturday night.